Well I’ve been switching back and forth between the full size and the baby for a week or so now. Both do the job of tamping and removing dottle well. 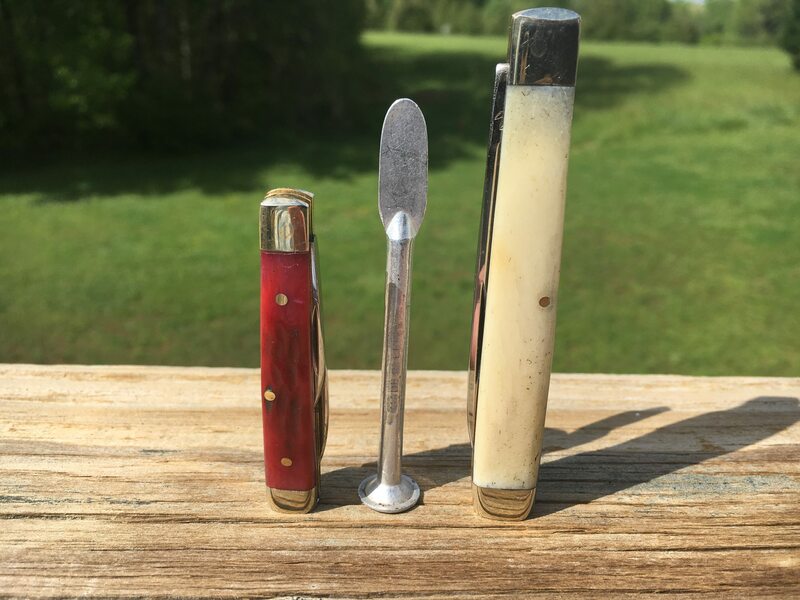 You may remember I reworked two Frost brand doctor’s knives by reshaping the pill crusher rectangular end into a more rounded tamper and modded the long blades to use as a scraper/dottle spoon. I don’t really dislike either. If I’d only done one I’d be happy with it but I’ll give my nod to the baby only for it’s smaller size and the fact that it disappears in my pants or shirt pocket. For laying on a smoking table beside an ashtray either does great. Can you show us a picture of the modded doctors' knife blade? I want a doctors' knife. I'm probably not going to get one, but I think it would be an interesting addition to my kit of unnecessary things I carry around. Deal. Well everything but the drag queen. Nothing special. I just rounded the tip of the long blade so it wouldn’t dig in and blunted the knife edge a little. Wow, I love this idea! I’m gunna have to pick one up! BTW, you wouldn’t happen to have a pic of the end you modified would you? Nothing special, I rounded the square corners as much as I felt comfortable without getting into the area where the blade rests. I also cleaned up some manufacturing uglies that were left from the factory. Dropping the blades down into the handle by working the nick is very important as well. Very cool! You sir, have inspired me. I’m going to Smokey Mountain Knife Works in October. I’m on a mission to find a knife to do this too. They have a huuuge section of Frost cutlery. I picked mine up in Ooltewah (Chattanooga) at the Frost outlet. SMKW has a ton of knives too. Good luck and post pics. I’ve been meaning to stop by the Frost outlet. I pass it ever time we head to the Smokies. I live in the Decatur Alabama area and go through Ooltewah/Chattanooga at least once or twice a year. I’ll post pics when I get mine done!